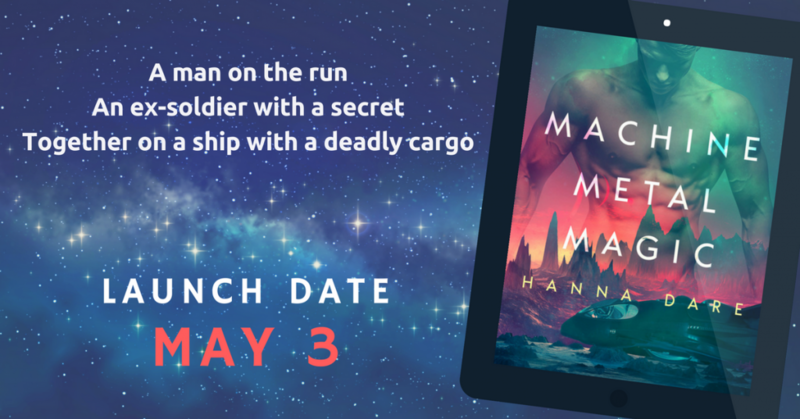 April 30, 2018 / hannadare / Comments Off on New book almost here! The countdown is on to the release of Machine Metal Magic! Get ready for this new science fiction romance by reading the prequel story. It’s free when you sign up to the newsletter! I can’t wait to find out what you think about Machine Metal Magic, I’m sure you’re going to love Jaime and Rylan!